Coral reefs, rainforest of the sea, are one of nature's most remarkable creations - teaming with thousands of unique and valuable plants and animals. More than one-quarter of all marine species depend on coral reefs for their survival. Humans depend on the survival of coral reefs too. 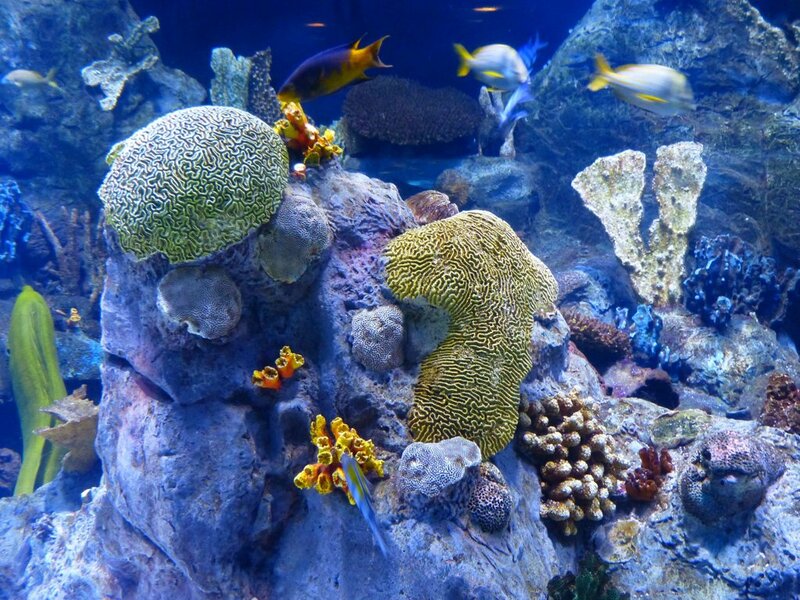 Coral reefs provide a natural wave barrier which protects beaches and coastlines from storms and floods. Coral reefs have existed on our planet for over 50 million years, but recently we have lost over 20% of the world's reefs in just the last 20 years. Up to 70% of the reefs may be destroyed by humans in the next few decades if we don't take immediate action. The biologists have seen the future, and their message could not be clearer: Living coral reefs are the foundation of marine life, yet all over the world they are dead or dying because people are destroying them, killing them at a catastrophic rate. Already 10 percent are lost, and scientists say 70% of all corals on the planet will be destroyed in 20 to 40 years unless people stop doing what they're doing: pollution, sewage, erosion, cyanide fishing, clumsy tourism, and get serious about saving the coral reefs now. There's hope yet. Reefs are resilient and they bounce back quickly when protected. Protection is the real solution and it's ordinary people who are making it happen. Government efforts in much of the world have been frankly pathetic: late, weak, underfunded, unenforced. Persian Gulf oil states pass useless pollution laws then ignore them. Indian Ocean poachers outwit and outnumber British Royal Navy patrols. Ecuador stalls for decades while tourism explodes in the delicate Galapagos, only to enact a plan that makes it worse. The status quo scarcely wavers: relentless destruction of coral reefs. In those bright spots where people are changing the way they treat the reefs, you'll find students, divers, biologists, concerned citizens of all stripes transformed into activists and volunteers...taking matters into their own hands to protect the coral reefs that are dear to them and vital to us all.